Does your mouth feel like the Sahara? Perhaps your tongue is like a parched plain. If the atmosphere inside your mouth is frequently arid, you may have xerostomia or dry mouth. Those with this condition don’t produce sufficient saliva to keep their mouth moist and to help facilitate swallowing. 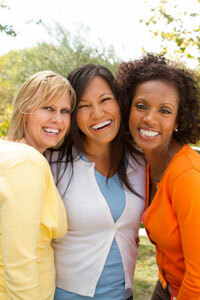 Common symptoms of dry mouth include a dry tongue, cracked lips, irritated gums, mouth sores and even bad breath. Relieve dry mouth by drinking more water, chewing sugar-free gum to promote saliva production and use alcohol-free oral rinses after brushing. While a glass of red wine, a cup of black tea, or a mug of coffee may yield significant health benefits, these beverages can stain your teeth. While completely giving them up may not be realistic, consider occasionally swapping these drinks for smile-boosting beverages. Water – Not only is water essential for overall good health, but it’s critical when it comes to keeping your teeth healthy and free of decay-causing bacteria. White tea – While black tea can stain your teeth, white tea is a terrific alternative. It’s also considered to be a healthy beverage as well. 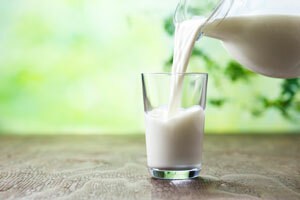 Milk – Rich in calcium, phosphorus and magnesium, milk not only tastes great but it’s also good for the teeth. Milk also may help to strengthen enamel and prevent plaque. In addition to choosing tooth-smart beverages, visiting the dentist for regular checkups can help to keep your pearly whites healthy. Whether your young child knocked out their baby tooth while playing or your older child lost a permanent tooth while engaging in sports, it’s essential to take action immediately. Saving a Baby Tooth. 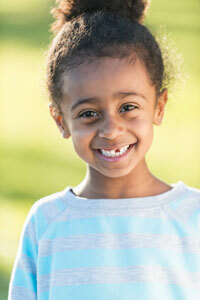 It’s critical that you refrain from attempting to place your child’s baby tooth back in. The reason is that doing so could harm the permanent tooth that’s behind it. Contact our practice as soon as possible. Preserving a Permanent Tooth. The optimal option is getting in to see us (ideally within 30 minutes of the tooth being knocked out) to determine if it can be successfully replanted. Be careful to handle the tooth by the crown versus the root, and rinse it if it’s dirty. It’s essential to keep the tooth moist either by putting it back in the socket or a small container of milk. 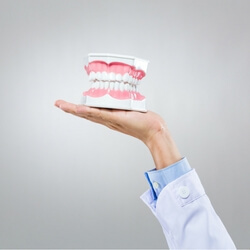 Your quick action could be a tooth saver.